The No. 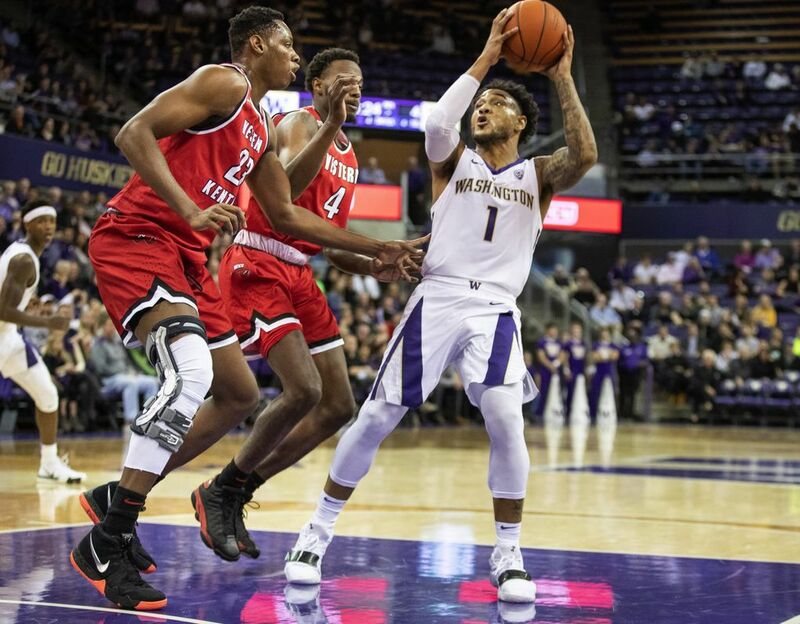 25 Huskies overcome a nine-point halftime deficit and hold off Western Kentucky for a tight 73-55 men's basketball victory Alaska Airlines Arena. 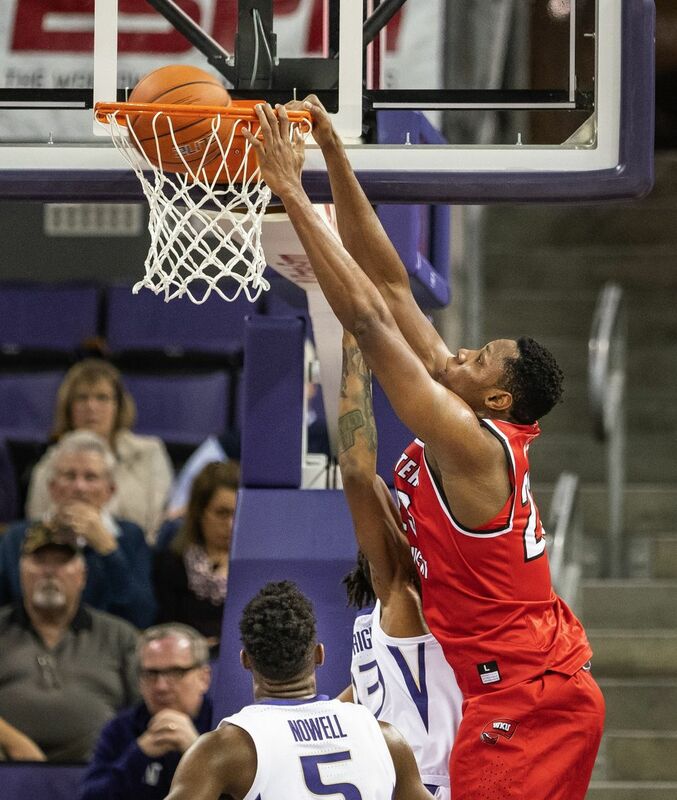 By the time Matisse Thybulle put the finishing touches on Western Kentucky with a crowd-pleasing play that began with a block and ended with a dunk, the No. 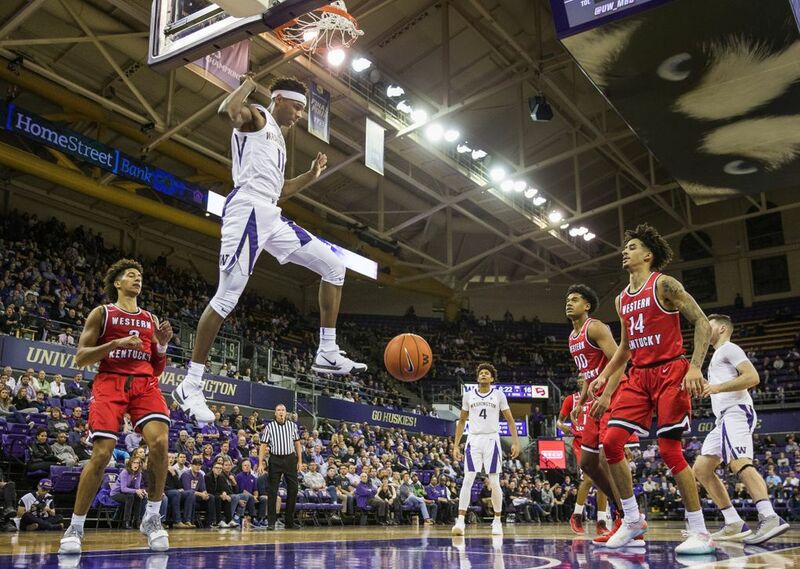 25 Washington Huskies had already secured a tougher-than-it-looks 73-55 win in their season opener Tuesday night. 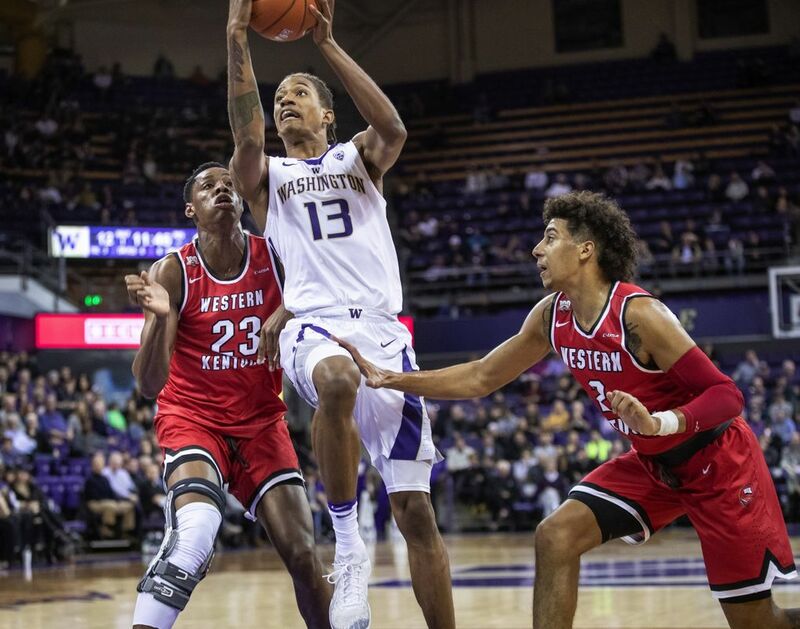 Thybulle’s late-game heroics and the final score notwithstanding, UW struggled to shake free of the Hilltoppers until the final 11 minutes. 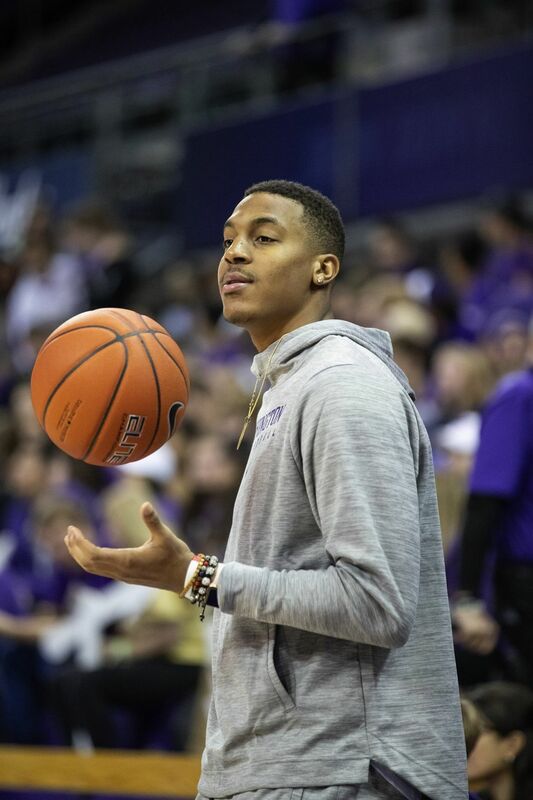 Washington overcame shoddy perimeter shooting and a 36-27 halftime deficit before pulling away at the end thanks to Noah Dickerson, who scored 16 of his game-high 18 points in the second half. 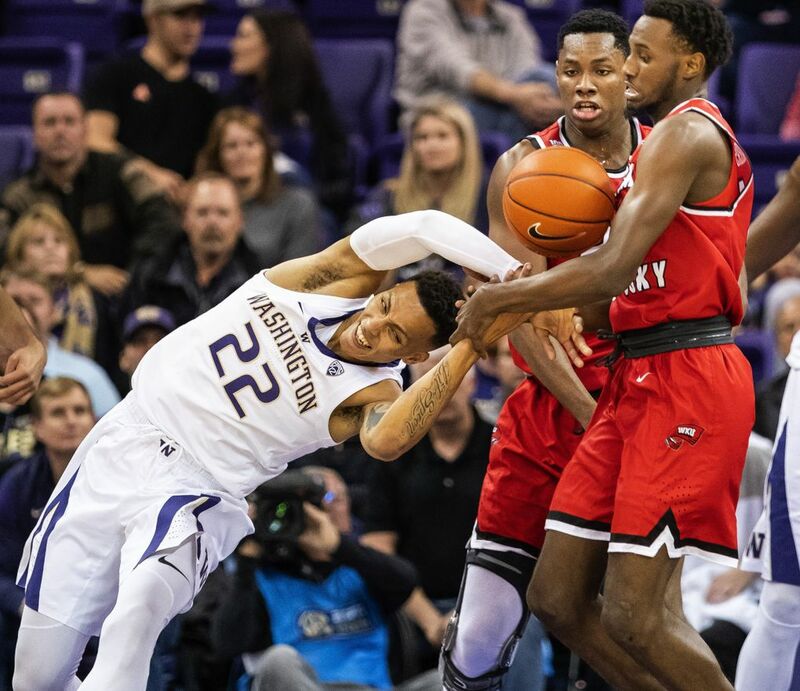 Hopkins anticipated a tough challenge in the opener and the Hilltoppers gave the Huskies fits despite missing a pair of senior starters in point guard Lamonte Bearden and forward Desean Murray. 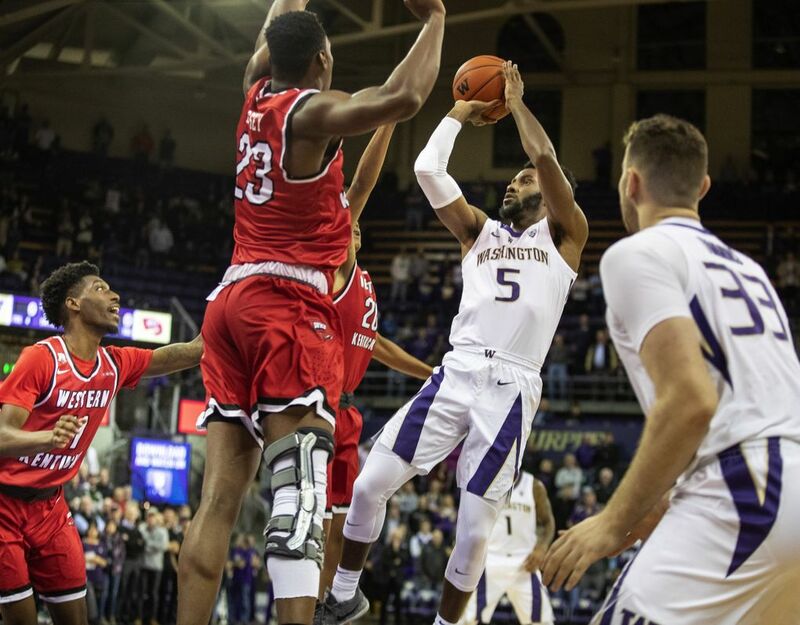 Washington employs a stingy 2-3 zone, but the Huskies had great difficulty deciphering WKU’s zone, which shut down Dickerson and short-circuited UW’s perimeter shooters in the first half. “The fountain just dried up,” Hopkins said. 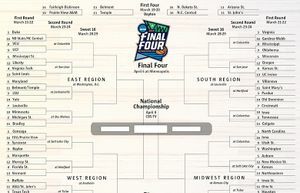 “Western Kentucky went to a 2-3 zone and it was like we’ve never seen a zone before. … We got some decent shots for being 2 for 18, mostly good shots but then we started panicking when we weren’t making them. 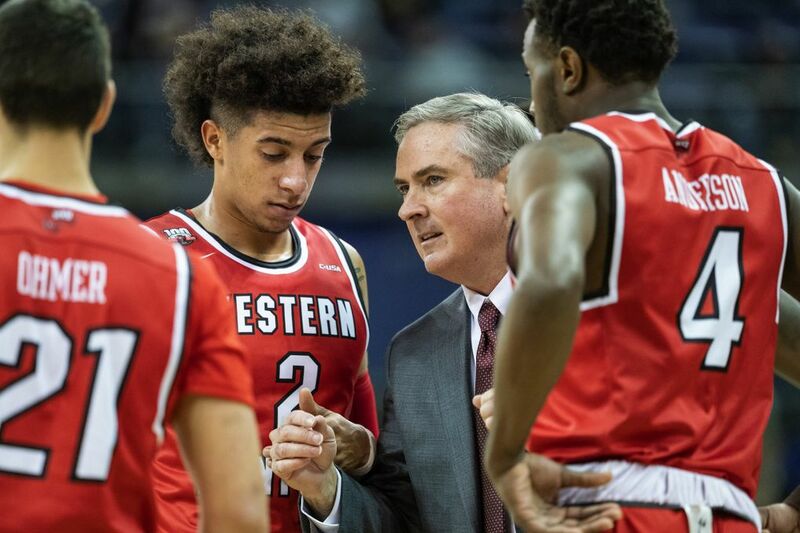 Washington began the second half with a 13-0 run to surge ahead 40-36, but the Hilltoppers didn’t go away and tied the score at 48-48 with 11:20 left. Led by Dickerson, UW finished with a 25-7 run. Dickerson scored eight straight points, including a dunk and a layup that gave Washington a 60-50 lead. 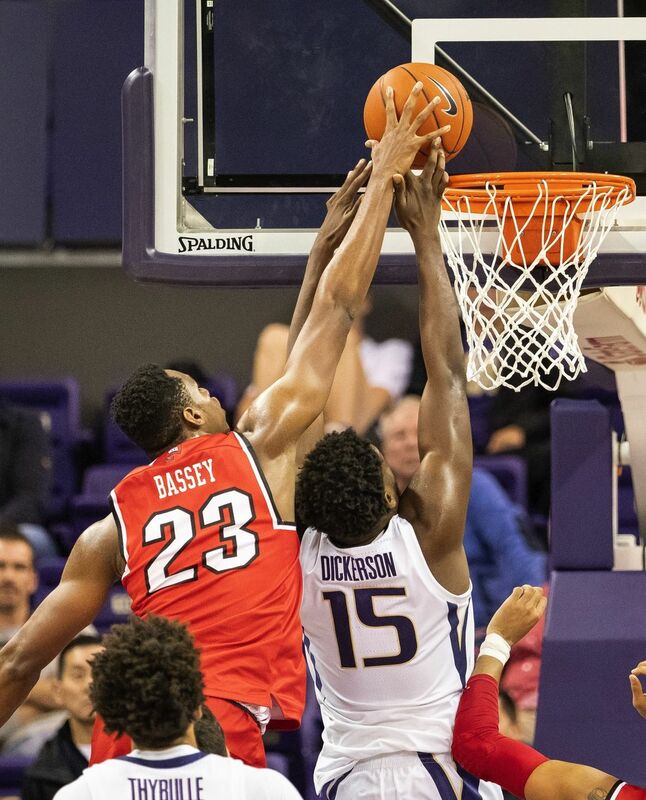 The All-Pac-12 forward won his individual matchup against 6-11 center Charles Bassey, a projected top 10 NBA draft pick next year, who had 11 points and 12 rebounds. 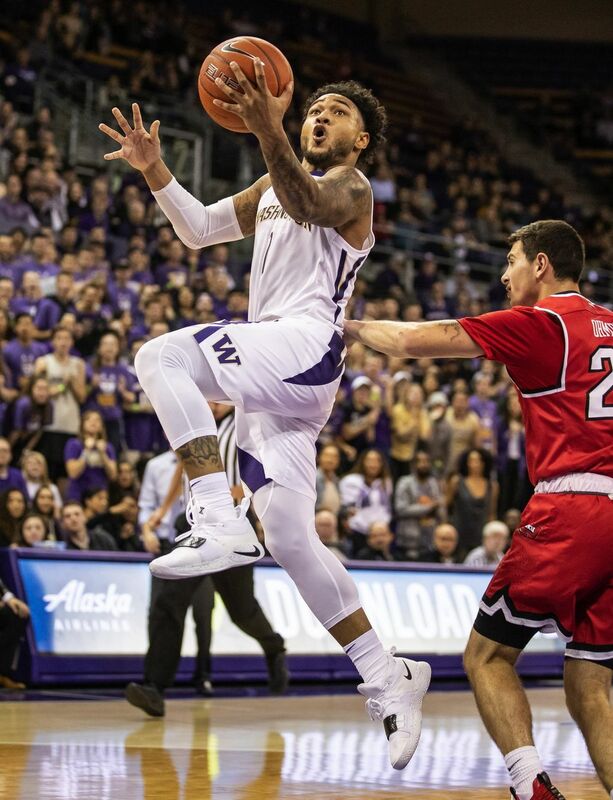 And then Dominic Green delivered the dagger – a three-pointer with 5:04 left that pushed Washington in front 63-50. 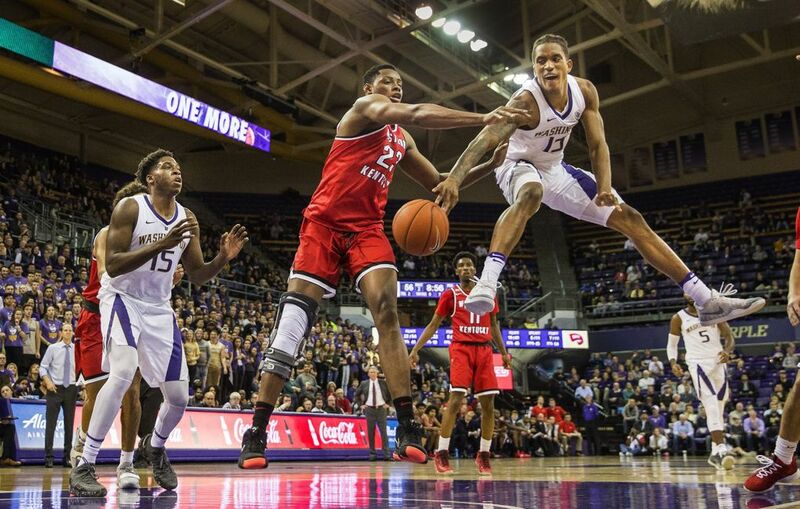 The Huskies never found their shooting touch – they were 5 of 25 on three-pointers – but it didn’t matter this time because they held Western Kentucky to just 19 points in the second half. The Hilltoppers converted 5 of 10 three-pointers in the first half, but were 0 for 3 behind the arc in the second. And the Huskies shot 53.6 percent (15 of 28) from the floor after the break after going 11 of 37 (29.7 percent) in the first. 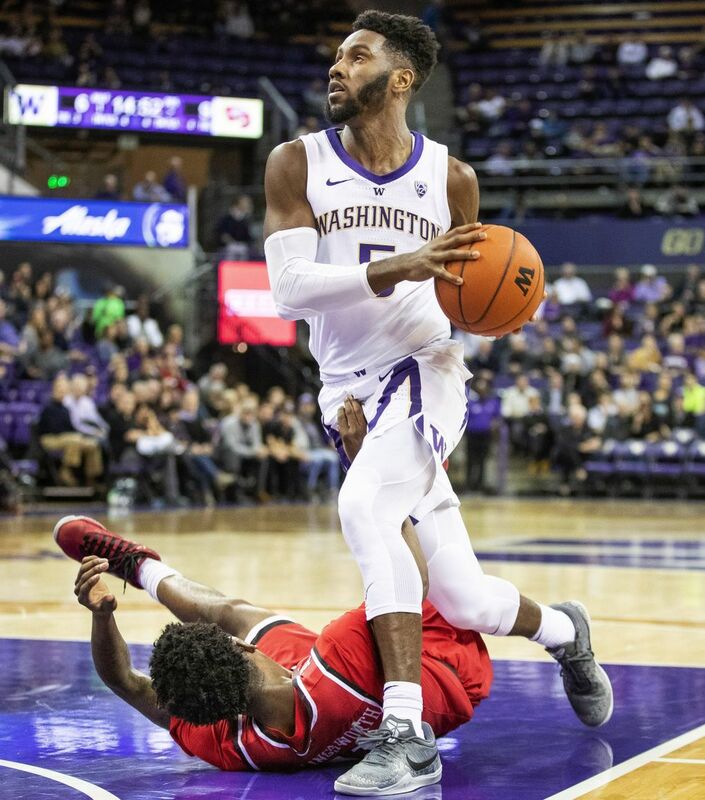 Jaylen Nowell tallied 17 points for UW. 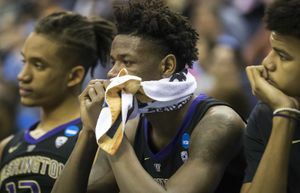 As the 5,721 at Alaska Airlines Arena headed for the exits, Thybulle gave them one final reason to cheer. 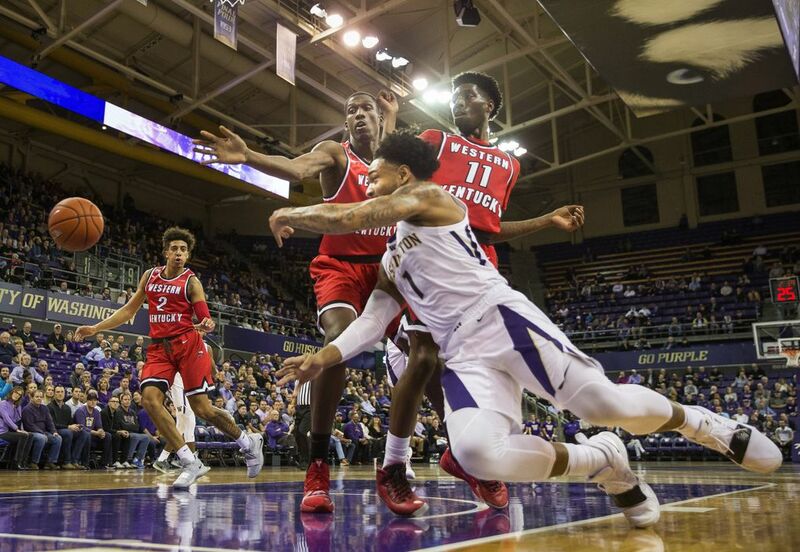 The reigning Pac-12 Defensive Player of the Year lunged to block a three-pointer from Jarad Savage (15 points) before jumping out of bounds to save the loose ball. 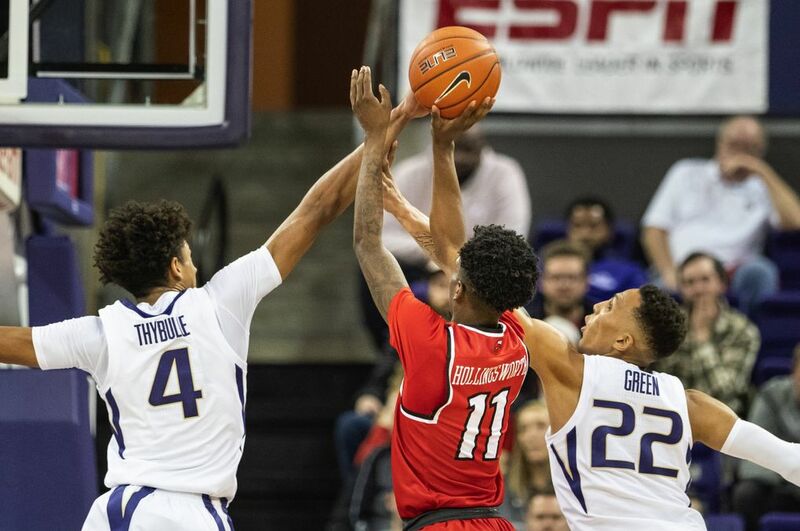 Thybulle, who finished with nine points and six blocks, passed the ball across the court to Crisp who dished to Thybulle for a two-handed dunk that snuffed out the Hilltoppers’ comeback attempt. “It was a learning experience,” Hopkins said. “We were in the sand trap. Down nine. At home. Pressure is on. Everybody wants to see the team. These guys showed a lot of poise and a lot of resiliency. We executed the game plan.